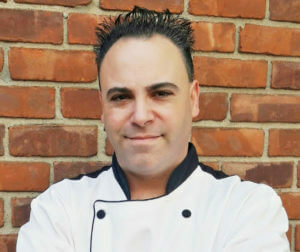 Chef Jonathan Scinto is a private celebrity chef and TV personality who has been seen on Master Chef, Food Network’s Chopped and Iron Chef Showdown. Chef Jonathan grew up in Queens, New York and now lives in Long Island with his wife and three daughters. He utilizes rustic Italian flavors and Asian influences to create “Itasian” foods with bold flavors. Chef Jonathan loves working with Certified Hereford Beef products because of their luscious taste and melt in your mouth tenderness. I’m all about bold flavors for creating my dishes, but the key to great recipes is focusing on the ingredients and products. When you are presented with a top quality steak, what do you? Do you over season? Do you sauce it up? In my opinion, focusing on the meat is the way to go. It’s easy to kick it up notch by surrounding the dish with sides that compliment the meat and flavors. In a nutshell, I try to make a harmony of flavors and layer it with many notes as you go on a culinary journey. When Certified Hereford Beef presented me with some beautiful USDA Choice Steaks, I knew I wanted to take an approach where I would highlight the tenderness of the steaks. 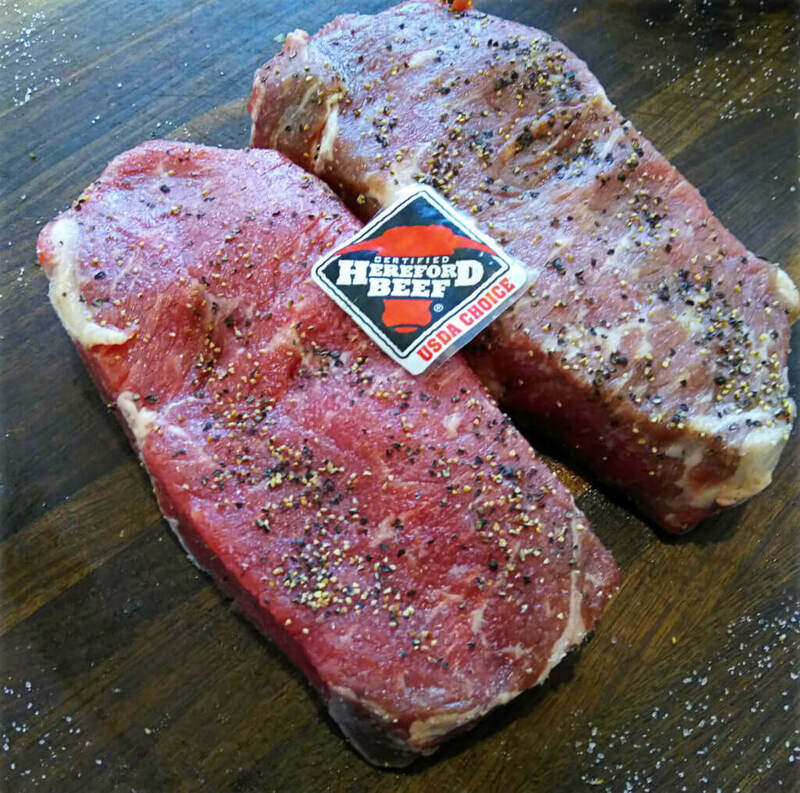 In my opinion, these steaks are more flavorfull and luscious than filet mignon. 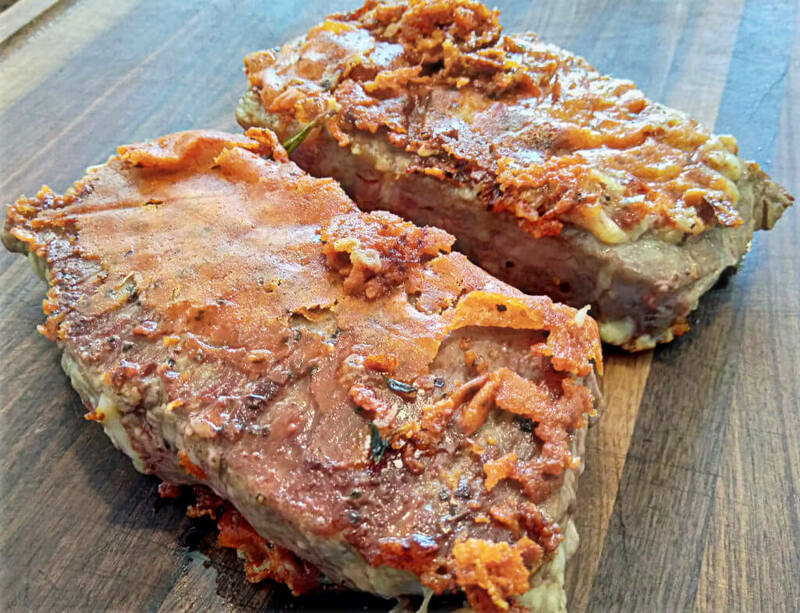 This parm-crusted steak is easy to recreate and has a restaurant quality, with a small shopping list of ingredients. Clean the sweet potatoes under cold water. Pat dry. Cut the sweet potatoes at a long angle to create potato strips. In a large pot or deep fryer, heat the corn oil until hot. (Check to see the heat by feeling with your hand over the pot or by dropping a piece of potato.) Fry the potatoes until golden brown and immediately season with salt. Place on paper towel until the excess oil is absorbed. Set in a bowl for later. In large bowl, mix the mayo, apple cider vinegar, sugar, 2 teaspoons of salt and 2 teaspoons of cracked pepper. Add the rainbow slaw and fold in until coated. Taste to see if it’s to you liking. Adjust if needed. Cover bowl and place in fridge for one hour to allow the flavors to come together. Remove steaks from the fridge and let rest for 15 minutes. Season with salt and pepper. Press the parmesan on the steaks on one side. In a large saute pan, add the thyme and rosemary and heat on medium heat until the essence of the herbs hit the air. Add the butter and oil and flavor the pan. Remove the herbs. Add the steaks to the with parmesan side down first. Cook until the parmesan melts and starts to crust up. If the parmesan sticks to the pan, it means it’s not done – wait until it releases easly. Flip and cook the other sides. Cook the steaks to a medium temp. Remove from pan and let rest for 5 minutes. Repeat method for all steaks. 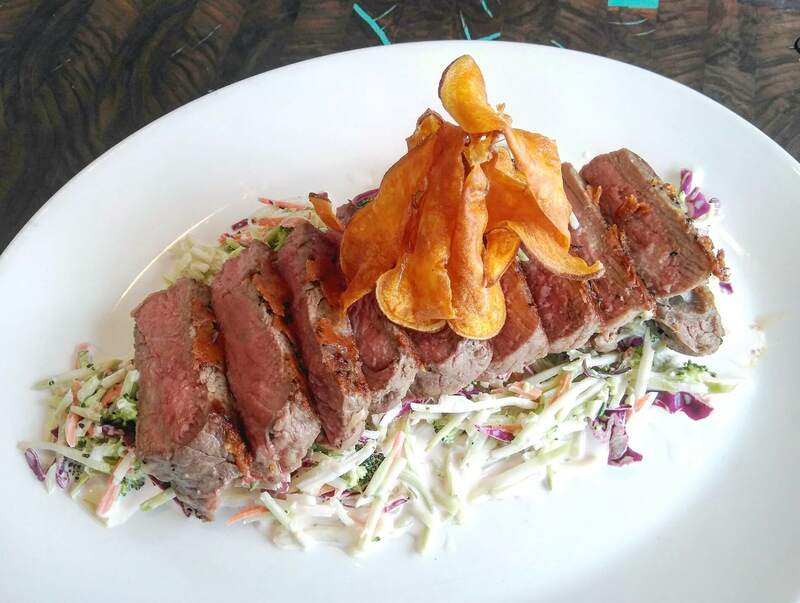 You can serve the steak whole or slice, served on top of the Cole Slaw and top with the sweet potato strips. Did you try this recipe? Share your thoughts with us in the comments!